Full of fresh vegetables and loaded with flavor. 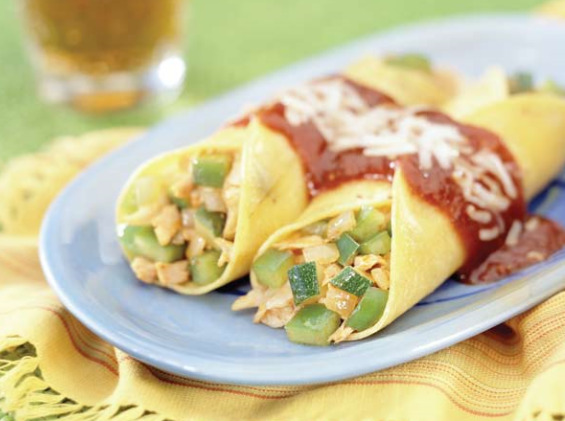 Meanwhile, combine enchilada sauce and tomato sauce in a small bowl; add ½ cup to vegetable and chicken mixture. Soften tortillas on the stovetop or in the microwave. Dip each tortilla in sauce and place equal amounts of vegetable and chicken mixture on one side. Roll up and place in a 13x9-inch baking pan. Pour remaining sauce over the top.